The 25th anniversary commemoration of the adoption of the “UN Declaration on the Elimination of Intolerance and Discrimination Based on Religion or Belief” was held in Prague, and broadcast live over the Internet, on the 25th November. PRAGUE, 19 December 2006 (BWNS) — Although it was negotiated at the height of the Cold War, a 25-year-old international agreement on freedom of religion or belief remains as relevant today — and perhaps even more so — said speakers at a major United Nations-sanctioned observance here in late November. Some 350 participants representing more than 60 governments, UN agencies, and various international non-governmental organizations — including the Baha’i International Community — gathered on 25 November 2006 to commemorate the 25th anniversary of the Declaration on the Elimination of All Forms of Intolerance and of Discrimination Based on Religion or Belief. “The right of everyone to freedom of thought, conscience, and religion is universal, as the unanimous adoption of the Declaration on Religious Intolerance showed – even in 1981,” said Ms. Gaer. “Regrettably, violations of this universal right continue to be committed across the globe. Other speakers included Diane Alai, the Baha’i International Community’s representative to the United Nations in Geneva, who co-presented at a workshop on the right to “change” one’s religion, along with Ms. Jahanghir. In that workshop, Ms. Jahanghir noted that although the Declaration does not specifically mention the word “change,” it is clearly implied in an article that says everyone has the “freedom to have a religion or belief of his choice.” As well, Ms. Jahangir said, other UN treaties and statements have clearly upheld this right. Ms. Alai said upholding the right to change one’s religion is of “practical importance” overall in the regime of religious freedom, in that the denial of such a right also essentially denies all of the other rights guaranteed in the Declaration, as well as rights guaranteed in other international treaties, such as the right to freedom of association, the right to privacy, freedom of expression, and minority rights. 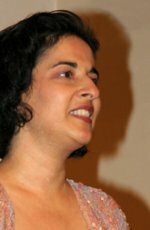 Yet the right to change one’s religions is not always upheld, said Ms. Alai, because some governments today want “to preserve the popularity stemming from a particular state-religion relationship” and so they restrict the right to change one’s religion through particular laws and policies. This is of critical importance, said Ms. Alai, because there are some countries where the right to “change” one’s religion is consider apostasy, which is punishable by death under some interpretations of religious law. Ms. Alai pointed specifically to the situation of the Baha’i communities of Iran and Egypt, which currently face persecution and discrimination over religious belief, and where Baha’is have indeed been labelled as apostates, a “crime” which is punishable by death in Iran. “People are known and respected for risking imprisonment, torture and even death because they uphold a certain political ideology, however, this is not yet fully recognized when it comes to a religious belief,” said Ms. Alai. Other workshops at the commemoration considered issues relating to freedom of religion versus freedom of expression, freedom of religious for the individual versus society at large, and freedom of religion in the context of the propagation of religion. A final statement, titled the “Prague Declaration on Freedom of Religion or Belief,” was announced by the gathering. “We consider it essential for governments and international organizations, such as the UN and various regional organizations, to give priority to the protection of the freedom of religion or belief and to the eradication of all forms of intolerance and of discrimination based on religion or belief,” said the Prague Declaration. Full article and pictures available here. s and transcripts available here.